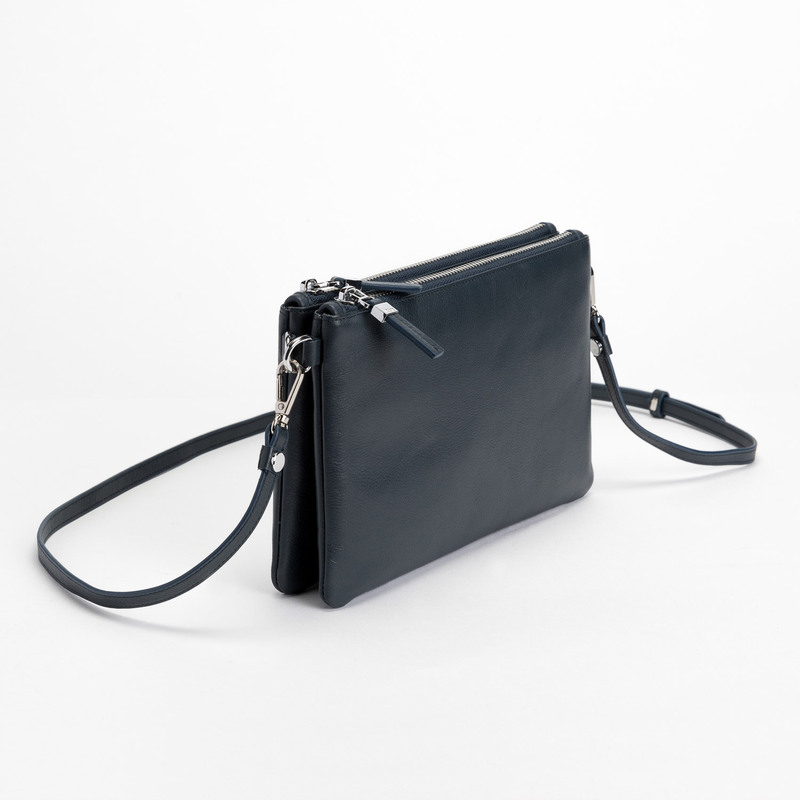 Practical and stylish, the Gemela Shoulder Bag is designed to update your everyday look. 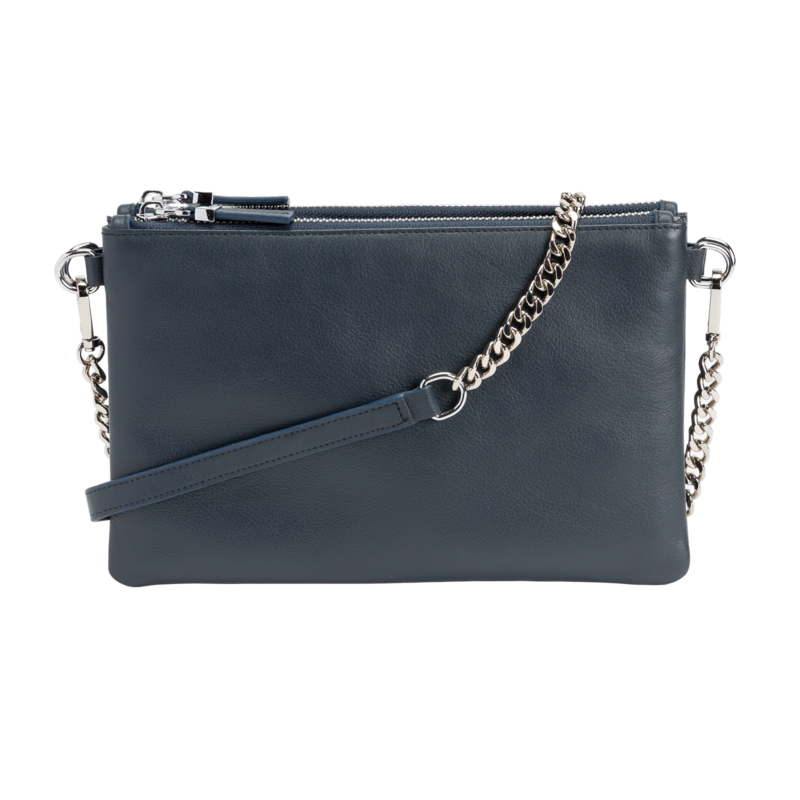 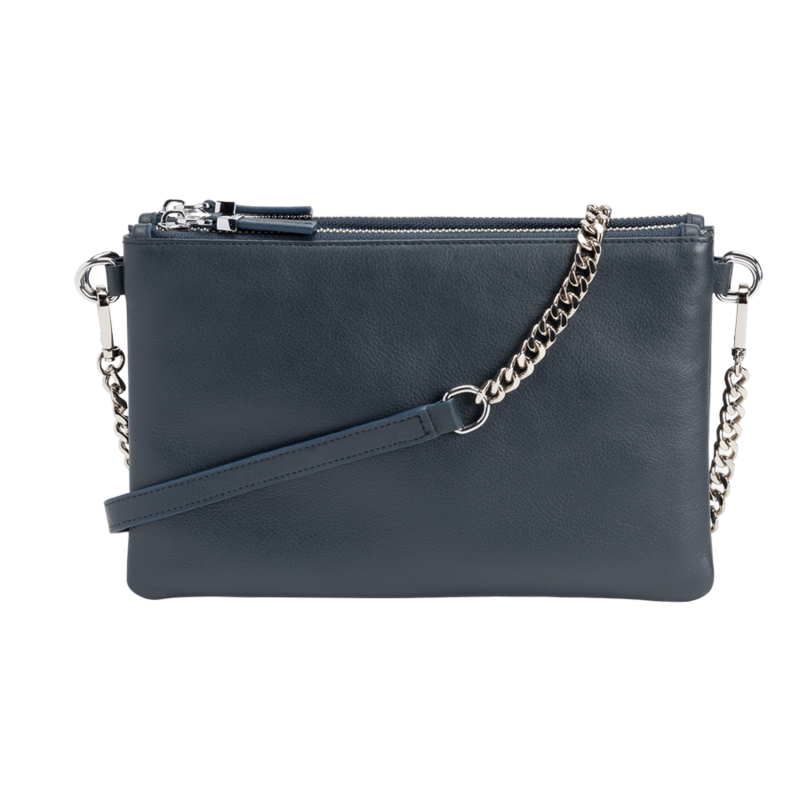 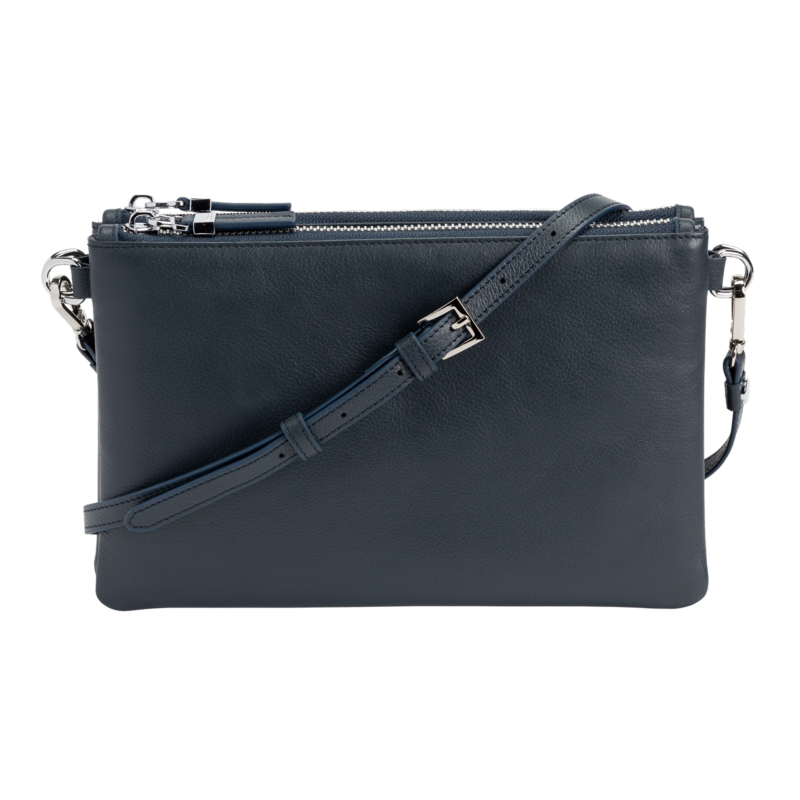 Made of soft pebbled leather, this bag features twin pouches that snap together, silver hardware and chambray fabric lining. 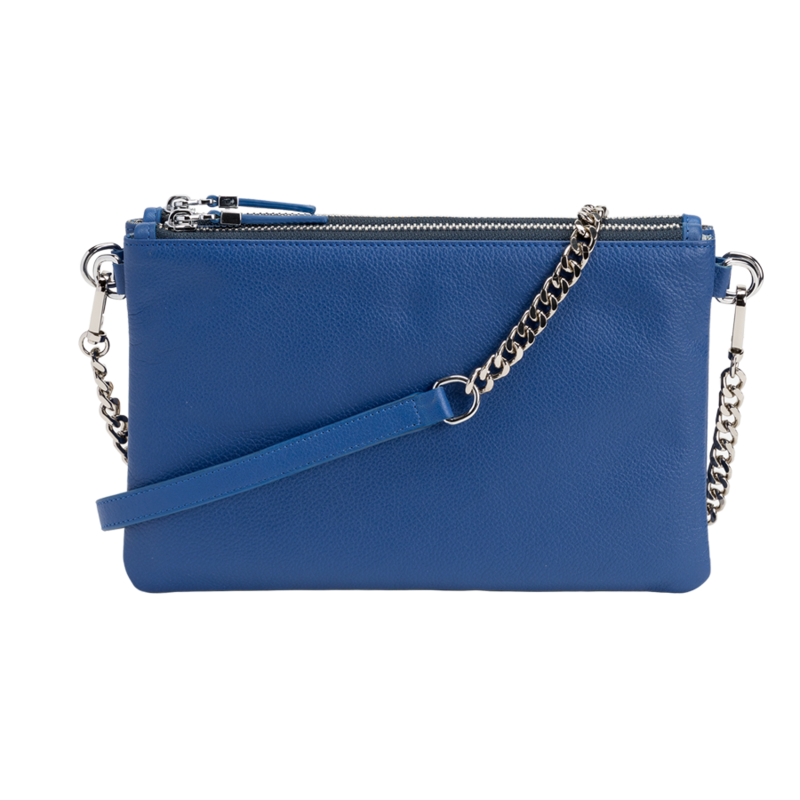 The Gemela Shoulder Bag also comes with two interchangeable shoulder straps, the first made of matching leather with a buckle to adjust the length and the second with a chain detail.